Contemporary IT standards are designed, not selected. Their design enacts a complex process that brings together a coalition of players. We examine the design of the SOAP standard to discover activity patterns in this design process. 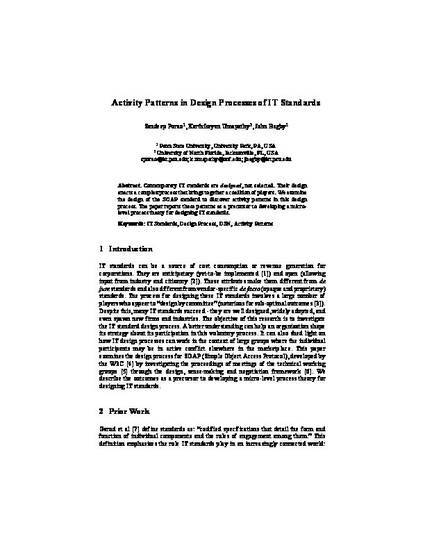 The paper reports these patterns as a precursor to developing a micro-level process theory for designing IT standards.